Dainty on it's own or bold in a stack. 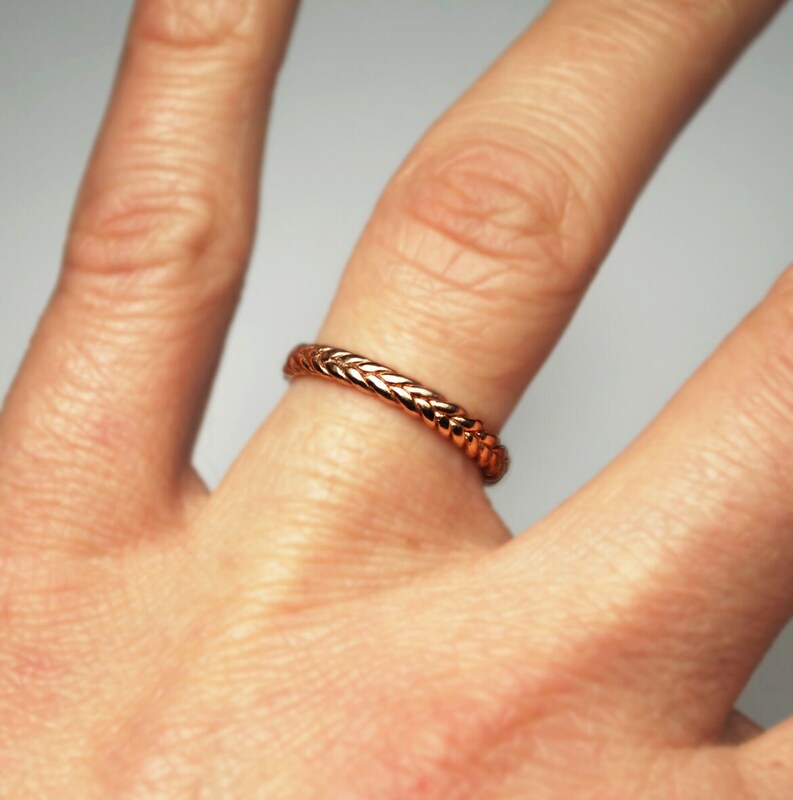 Each 10 k solid gold braid ring is approximately 2.1-2.2mm wide (dependent on size) with a depth which varies between 1.1-1.3 mm (again dependent on size). All rings are cast with recycled gold. Please contact me if you would like this in a smaller or larger size. Please note, tightness of braid varies slightly by size. 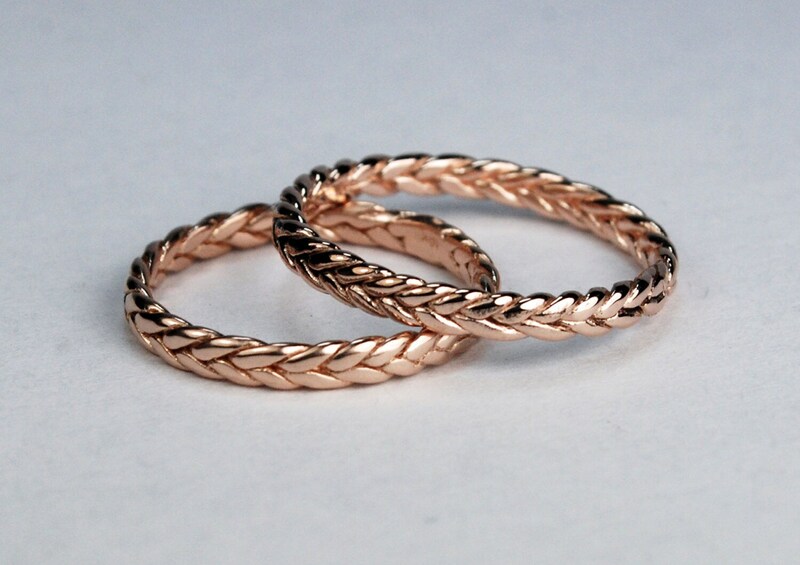 LISTING PRICE IS FOR ONE 10K ROSE GOLD STACKING RING. Beautiful band.. it's exactly what I wanted to stack with my solitaire ring. I was kept up to date throughout the the process. Thanx!!! Love this ring. Was exactly as described. I purchased this ring to replace a much thinner ring that I am using for my wedding band. Looks great and the braid is very pretty, not too thick and still very dainty. Love the rose gold, my favorite!! It came earlier than expected and am very happy with my purchase. This ring looks so beautiful and the packaging was very thought out and a nice touch as well. Highly recommended.